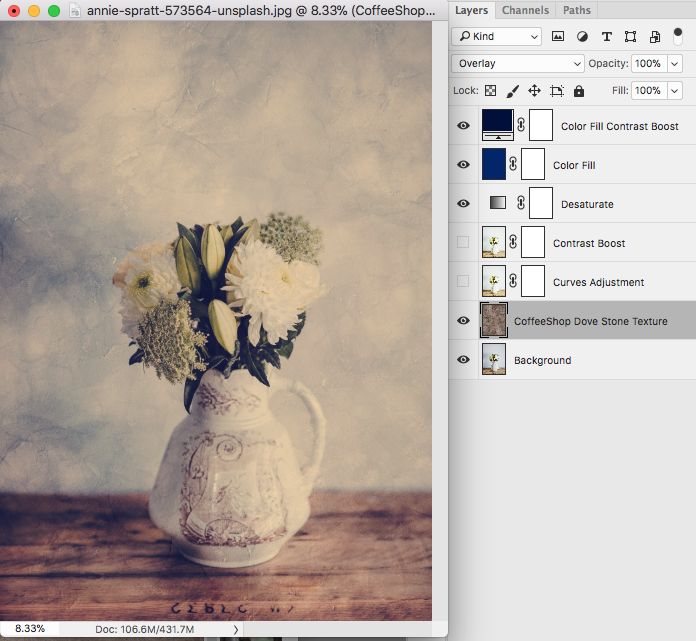 I have a brand new fine art texture/overlay to share with you today! This one is a gorgeous stone texture with a dove-brown color. It looks great in Overlay or Soft Light blending mode. And if you want to remove it off of skin without removing the color tint, please read my texture tutorial. I started with the beautiful free texture here and did some cloning, copying, blending, changing coloring to create this final texture. 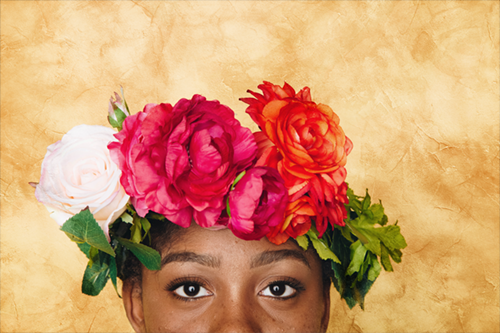 I love combining actions and textures as seen in this floral example. I ran the CoffeeShop Butterscotch Vintage action, turned off a few layers (see above), and then added this texture in Overlay blending mode just over the background. It is so lovely and vintage now. A special thanks to Lisa Rubel Photography (website, Facebook, Instagram, Twitter) for allowing me to use her stunning portrait in my example above. 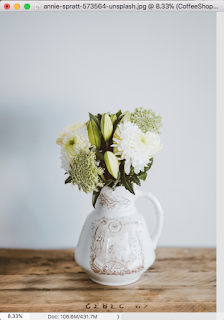 You can find the gorgeous flower woman, white flowers and rose image here. 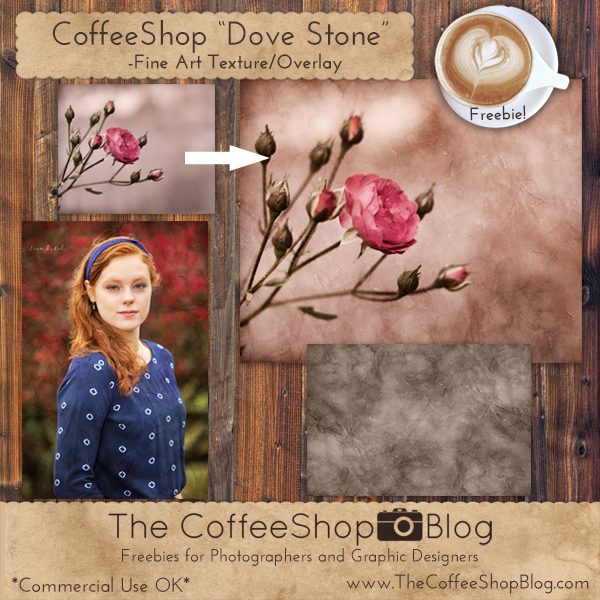 Download the CoffeeShop " Dove Stone" Fine Art Texture/Overlay. Ooh yay! Another awesome texture. Thanks so much Rita.